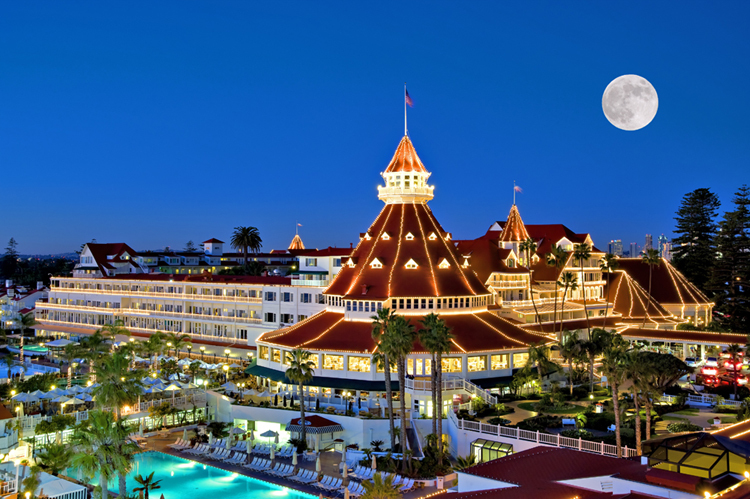 For many guests at The Del, as San Diego’s historic Hotel del Coronado is often known, their stay recalls the line from The Eagle’s Hotel California – you can check-out any time you like but you can’t ever leave. This massive pile, opened in 1888 and today one of the largest wooden structures remaining from the grand era of late nineteenth century resort building in the United States (not surprisingly, most burnt down), is a place of mystery despite the resort ambience of its Pacific Ocean-front position. Ghost stories abound and, within minutes of setting foot inside, I’m drawn to asking the question that I’m sure the staff have heard a million times before. I’m in the gift shop, just off the main lobby. Amongst the copious Marilyn Monroe memorabilia that fills this area almost to overflowing (Billy Wilder’s 1959 comedy, Some Like It Hot, ranked by the American Film Institute as the funniest US movie of all time, was filmed at the Coronado), I ask a staff member if any of hotel’s ghosts cause problems. “Heavens, yes,” she replies readily enough, although not without a touch of nervousness. “It constantly rearranges the shelves.” The saleslady seems exasperated by the extra work. It’s bad enough when the earthly visitors leave the place a mess, let along long-dead guests adding to the workload. “It doesn’t like anything to do with Marilyn,” gazing back at the lunchboxes, fridge magnets and books to check they are still in a general sort of order. The Coronado’s flesh-and-blood guests have long reported strange occurrences, from sudden plunges in temperature and ghostly footsteps to televisions and ceiling fans that turn on and off without warning. The usual culprit is claimed to be Kate Morgan, a young woman who checked into the hotel in November 1892 and spent five days awaiting a lover who never arrived. She was found dead on an outside staircase with a bullet wound to the head. The San Diego Coroner ruled the death as suicide. Kate is said to be still seen wandering the halls while guests in her room (Room 3327) report all manner of unexplained disturbances. Thankfully, the Coronado is not exactly the Overlook Hotel. It’s a benign and most amazing building, designed in the Queen Anne revival style by Canadian architect James W. Reid, and dominated by a massive red turret. Construction of what was envisaged as the grandest resort hotel in the United States began in March 1887. At its peak, some 2,000 workers toiled on this sandy wasteland but, when it opened the following year, it was an immediate success. 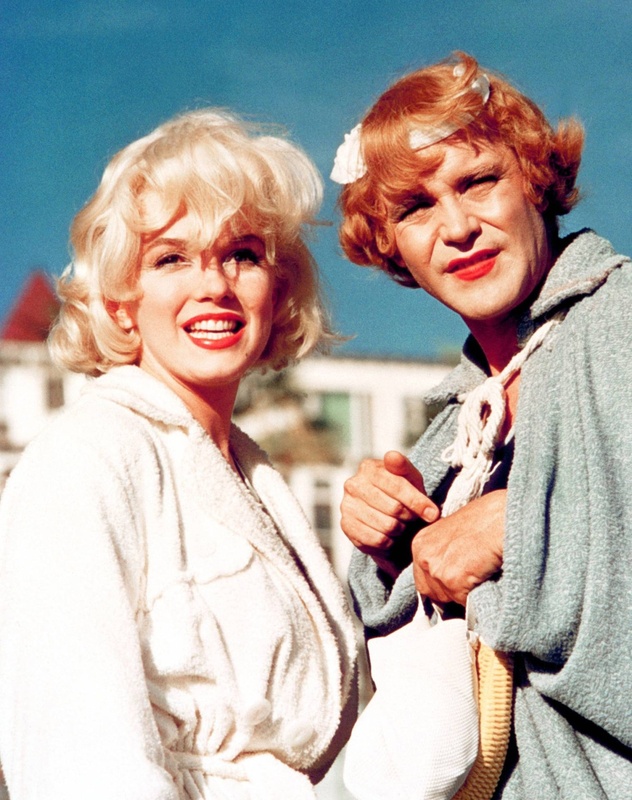 Marilyn Monroe and Jack Lemmon in Some Like It Hot. It has somewhere around 675 guestrooms and dominates the southern end of Coronado, a peninsula that is linked by a 16 kilometre-long isthmus known as the Silver Strand to the San Diego mainland. At Coronado’s northern end is the sprawling Naval Air Station North Island, comprising some 35,000 personnel and 23 aviation squadrons. From the early days of manned flight, North Island was an important aeronautic location. Before being commissioned as a Naval Air Station in 1917, it was the site of an aviation school that attracted trainee pilots from around the world. One such aviator was Sadayoshi Yamada, who rose through the ranks of the Japanese armed forces to become Vice Admiral in the Imperial Japanese Navy during World War II. Over the years, the Hotel del Coronado has welcomed royalty, American presidents and movie stars. 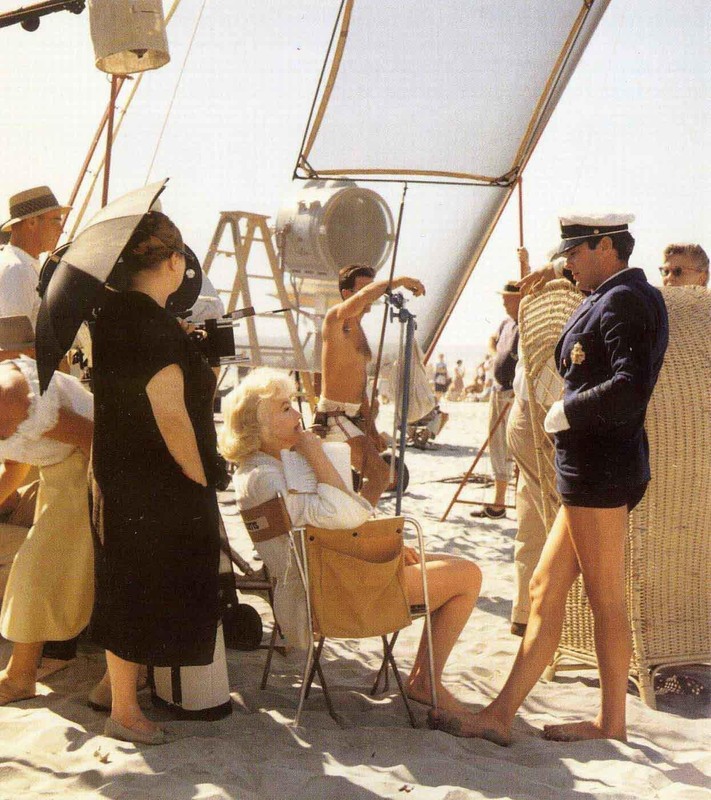 One of its most famous turns in the spotlight was during the filming of Some Like It Hot, which used the beachfront and hotel exteriors to great effect (the interiors were recreated in the Culver City, Los Angeles, studios of MGM). Another famous guest was Frank L. Baum, author of the Wizard of Oz series of books. Although from the East Coast, he was drawn to California’s more welcoming climate. He spent months at a time at the Coronado between 1904 and 1910, after which he built a home in Hollywood that he named Ozcot. The Coronado also inspired novelist Richard Mathieson (whose 1954 novel, I Am Legend, has been filmed four times, the last with Will Smith in 2007) to create Bid Time Return (1975), that deftly interweaves a love story with time travel. When it was filmed as Somewhere In Time (1980), with Christopher Reeve and Jane Seymour, the setting was changed to the equally-elegant Grand Hotel on Mackinac Island, Michigan. 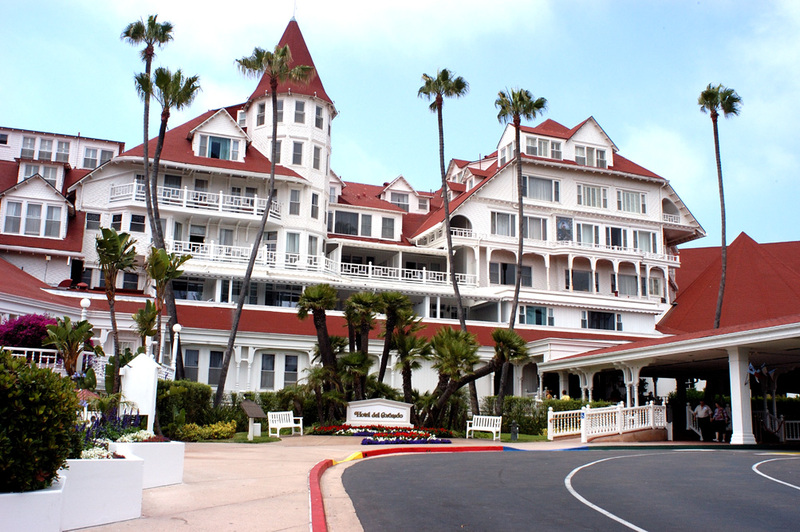 However, one of the most interesting connections with the Hotel del Coronado is actually one that could have happened but didn’t. When Bessie Wallis Warfield married Earl Winfield Spenser Jr. – an aviator and lieutenant in the United States Navy – in 1916, no-one could have foretold the effect it would have on the world. Win, as he was known, was posted to San Diego in 1917 to oversee the establishment of the nation’s first naval air base. Wallis, as she was known, was the dutiful but ultimately unhappy military wife of a dissatisfied and alcoholic officer, a woman who loved to entertain and be entertained. On 7 April 1920, the Hotel del Coronado hosted a ball in honour of Edward, Prince of Wales, who had arrived aboard the British warship HMS Renown en route to a royal tour of Australia. In later years, Win himself recalled he was on hand that evening with his wife who was introduced to the Prince. Such is the cachè of such a momentous meeting that it has passed, unchecked, into popular legend. Even the Coronado’s website states that many have speculated that “they may have first met at The Del”. However, as Anne Sebba reveals in That Woman: The Life Of Wallis Simpson, Duchess Of Windsor (Weidenfeld & Nicholson, London, 2011), the reality is more like the golden opportunity that never occurred. Several days before the ball, Wallis left San Diego for San Francisco to visit a socialite friend and didn’t return until the week following. This is confirmed by newspaper social columns of both cities. It would be another 11 years before Wallis finally met the Prince. In the interim, Wallis divorced Spenser in 1927, moved to England and married Ernest Simpson in 1928. She met the Prince at a country house party in 1931 and they became involved sometime around 1934. He ascended the throne as King Edward VIII in January 1936, Wallis and Simpson divorced in October 1936, and Edward abdicated in December of that year. In June 1937, Edward and Wallis married. And the rest, as they say, even in the character-saturated hallways of the Hotel del Coronado, is history.